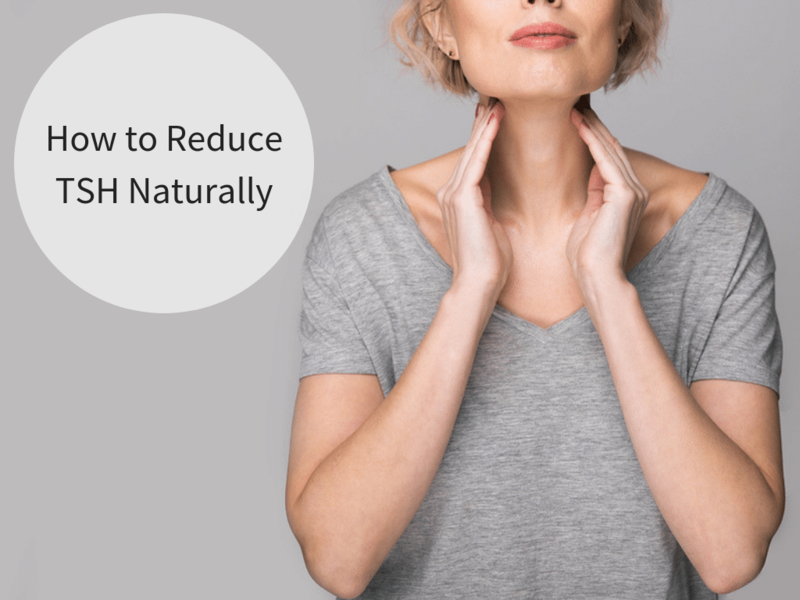 Low thyroid function, hypothyroidism and elevated TSH levels are very common these days, but I’m excited to tell you that there are ways to reduce TSH naturally, without spending tons of money on supplements. Everyone is biochemically individual, but at our practice we’ve found that a TSH level between 0.5-2.5 is the range where people feel healthy and vibrant. 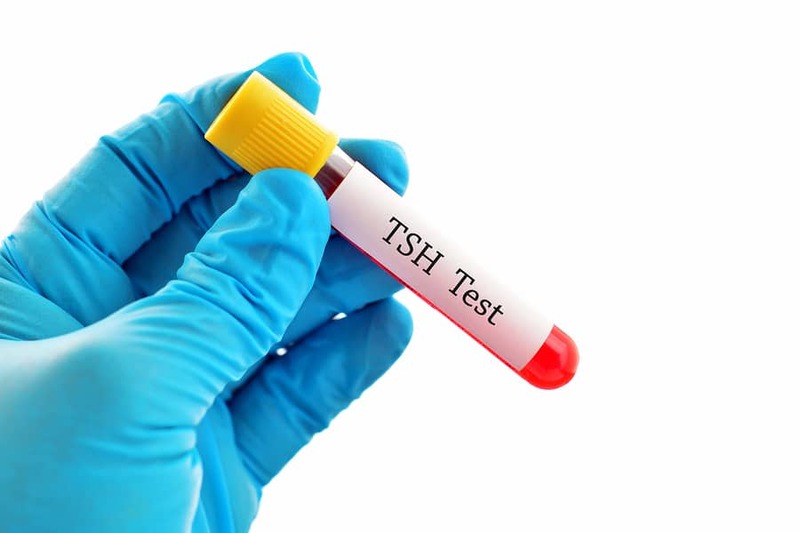 Most labs have “normal” TSH ranges that span anywhere from 4.0-8.0, but most people with TSH levels this high don’t feel well and need to take some steps to reduce their TSH level. The pituitary, hypothalamus and adrenals (also called the HPA axis) are all part of the endocrine system and communicate with one another throughout the day. When the body perceives stress – emotional, mental, physical, environmental, etc. – the hypothalamus tells the adrenals to work harder to put out additional cortisol, and it tells the pituitary to crank out more TSH which signals to the thyroid to slow down. 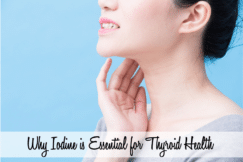 So, a high TSH level isn’t actually a thyroid problem. Instead, there’s some sort of imbalance in the HPA axis. 1. Take steps to support your adrenals. As mentioned above, high TSH is rooted in an imbalance in the HPA axis, and the most common cause of high TSH is adrenal imbalance from stress (mental, physical, emotional, environmental, etc.). I can’t tell you how many people have taken the steps I list in this article and come back a month or two later telling me how much better they already feel! I’ve also had clients in our practice follow many of these steps, and we’ve seen their TSH levels balance out within just a couple of months. 2. Make sure your body is digesting your food properly so it can use the nutrients to keep your body in balance. When your body can’t digest your food properly and use the nutrients in the food, this causes a state of stress in the body. The hypothalamus sees this stress and tells the pituitary to create excess TSH to compensate. The first way to digest your food properly is by eating in a relaxed state, making sure your body is producing enough stomach acid so it can properly break down and utilize the nutrients in your food. Stomach acid (also known as Hydrochloric acid or HCL) is a necessary part of the digestive process. The acid is our first line of defense against pathogens, bacteria, parasites, etc., and helps us digest our food properly. 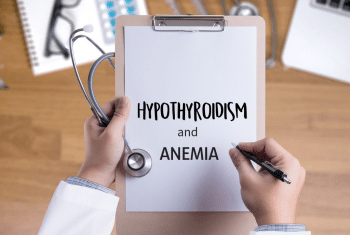 This may sound like a trivial step, but I’ve never seen a client at our practice with hypothyroidism and elevated TSH that wasn’t also dealing with low stomach acid. Here’s an article I wrote that explains the steps to take. 3. Limit caffeine – Caffeine is actually very stressful for the adrenals, which can cause the hypothalamus to tell the pituitary to raise TSH, so it’s really best to limit your coffee consumption. If you need some help reducing how much coffee you drink (I know it can be hard! ), then read this article I wrote about how to kick the caffeine habit without having the crazy withdrawal symptoms. 4. Drink half your weight in ounces of water each day – Without proper hydration, the body can’t properly transport hormones throughout the body and it creates a stressful situation for the body, so it’s really important to drink enough water. 5. Make sleep a priority. The body cannot heal and come back into balance without adequate sleep. 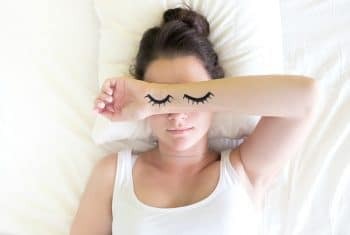 If insomnia is an issue right now, read this article and see which steps you can take to improve your quality of sleep. 6. Avoid skipping meals, intermittent fasting or super low-carb diets (such as keto) – All of these things can put excess strain on the adrenals, cause them to kick out additional cortisol and then create an imbalance in TSH. I know intermittent fasting and low carb diets like Keto are popular right now, and sometimes those with thyroid disease will feel good for a short time period while on one of these kinds of diets, but they usually backfire down the road. It simply puts too much strain on an already stressed body and creates additional hormone imbalance, so I really don’t recommend it. 7. Supplement with B6 and B12 – Both B6 and B12 are very calming to the nervous system, which is helpful to balance the HPA axis and TSH. Basic B Complex by Thorne is a great supplement option. If you take these steps for at least 90 days and don’t see any improvement in either symptoms or TSH levels, then it’s possible you need some additional support for the hypothalamus, pituitary, or adrenals. 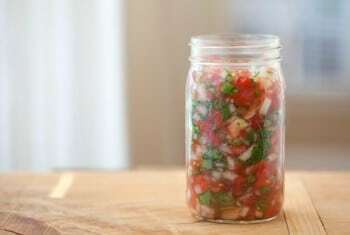 There could also be an infection or damage to the glands from pharmaceuticals or other synthetic toxins. Thanks for posting about this in IG today. I didn't realize it, but when you said your highest TSH reading, it suddenly clicked that someone really does know what I've been feeling. Mine was 81 over the summer (and they hospitalized me for fear of a thyroid storm) and it's been rough. I do have a functional doctor and she has me doing quite a bit of what you've suggested. I do b12 injections every 3 weeks and it has helped some. I was on Nature-throid until about a month ago when my TSH started going up again. Had it down to a 10, popped back to 18 and she changed me to NP Thyroid. I'm finally starting to feel a bit better. Was 14 at my last test last week.But boy does it take a long time. Thank you for putting all of this out here. It really does help. Do you have a recommendation for a quality B vitamin that is readily available for those of us also suffering with MTHFR? I also use B complex byDesigns for Health. Very reputable company. You mention the Keto diet. I am on the Keto diet because I was diagnosed as type 2 diabetic a couple of years ago. I do not take any meds for controlling my blood sugar, and am controlling it with the Keto diet. It is working for me. I hope to be able to get my body back to normal and eventually have my body properly use insulin again. At that time, I will probably consume some of the more carb-heavy foods again, but no sugar. 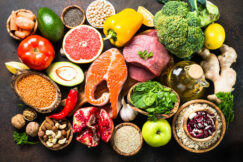 Certain 'diets' and restrictions on certain foods are necessary for some people who have health issues and want to control those issues without resorting to meds and Rx's.. I'm glad you've found what works well for you! I always enjoy reading the health info you give! I struggle with a see-saw thyroid. Back and forth with different mcg of levothyroxine. One of my biggest complaints is, I seem to be losing so much hair, it feels like I'm going to go bald in the back/middle of my head. I am so self conscious of this. I guess I have a vane streak :-( If you have any suggestions for my hair loss, it would be so appreciated!! thank you so much for the the health info. Hello. I stumbled upon your website after googling hypothyroidism etc. I am wondering if you have any supplements suggested for lowering yah naturally. I'm not on any medications presently and I'm very holistically minded. I see many different people discuss thyroid issues. But I really haven't seen significant edema in the arms and legs, both upper and lower arms and legs. It's not fat, but fluid only, I have a lot of muscle and work out regularly. It's the most prominent of thyroid symptoms for me, well that and having cold hands and feet constantly. I don't have low energy. Dry skin, dry falling out hair etc. Do you have insight specific to edema and what's recommended for this strange issue. I'm skinny but about half of my legs and arms, are fluid. I have tsh of 7.75, t3 3.6,t4 1.38, reverse t3 15.2, and no antibodies, no hashimotos. I took this lab result to my conventional MD and asked if he'd put me on anything he flat out said no, so I'm not on any meds. If you have further insight of what's going on, please I welcome it all. Congrats on your journey and success.